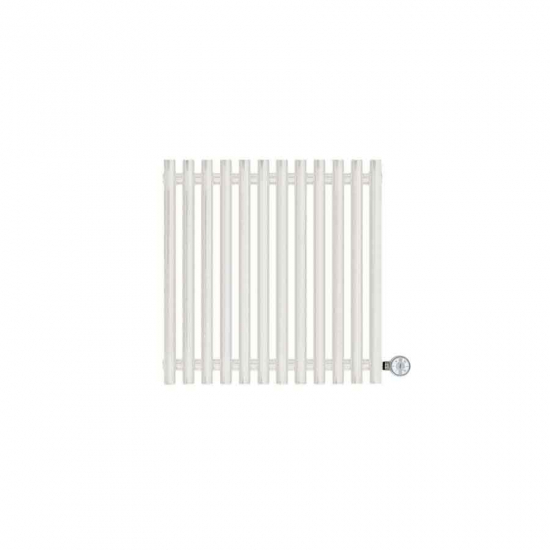 The 400w Terma Tune Designer Electric Radiator is the smallest in the range, offering a Blueooth controlled heating system for modest-sized spaces. Complete with a minimalist, contemporary aesthetic, this designer radiator adds a touch of sophistication to guesrooms and bedrooms. Terma Tune Designer Electric Radiators are the perfect heating solution for homeowners interested in both functionality and style, with their smooth, understated aesthetic and controllable heating element. Thia 400w Tune is the smallest in the range and comes in a classic white finish, while anthracite and vertical versions are also available.